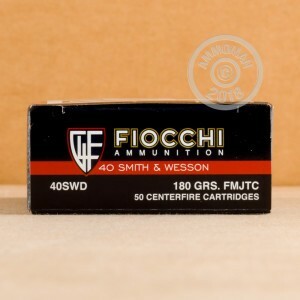 This Fiocchi .40 S&W is the perfect range load for any shooter looking to save some money without compromising on quality. 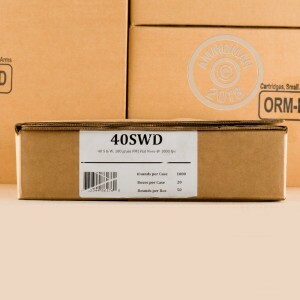 These cartridges come in an economical 1,000 round case (20 boxes of 50 rounds each) and fire a standard weight 180 grain full metal jacket bullet at around 1,000 feet per second. 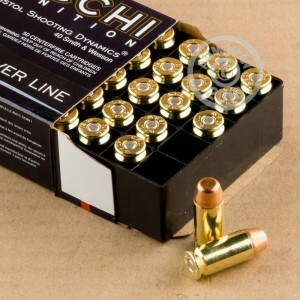 Like other Fiocchi products, this ammo is manufactured in either Lecco, Italy or Ozark, Missouri and uses non-corrosive Boxer primers and brass cases. Low on ammo? Grab a case from AmmoMan.com and save with free shipping for all orders over $99.